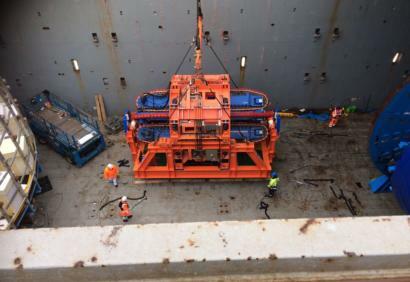 Maritime Developments has proven the complete portability of its flex-lay equipment design with a successfully completed project in West Africa. 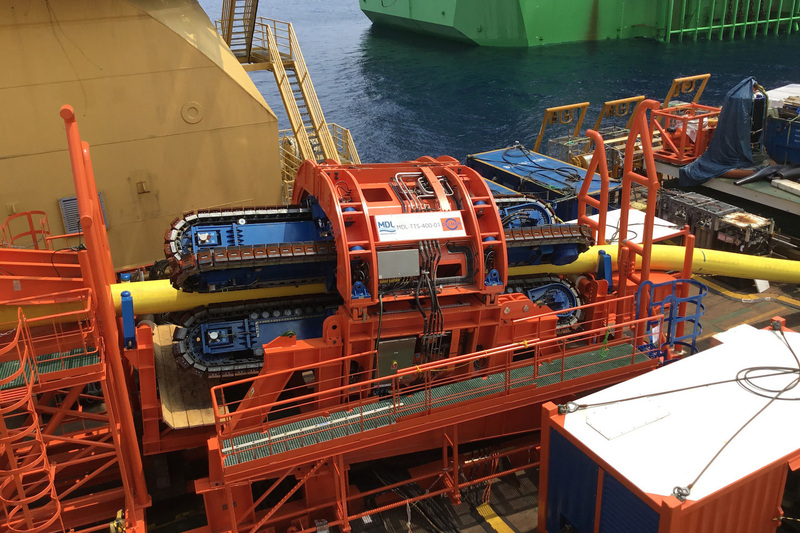 The newest and largest pipelay tensioner in the company’s rental fleet, the MDL TTS-4/375 Series Tensioner, rated for safe working load of 150-tonne line pull, was used for installation of oil offloading lines offshore Nigeria. 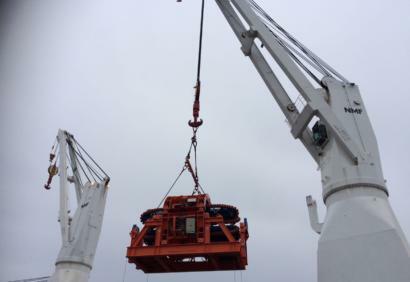 The system was mobilised from MDL Peterhead facility in 4 modules onto trucks for transport to port, where it was reassembled off critical path before being lifted onto a cargo vessel in a single lift. Once at the project mobilisation port in Lagos, it was then lifted from the cargo vessel directly onto the project vessel and installed onto the client’s HLS ramp, also manufactured bespoke by MDL in Peterhead. 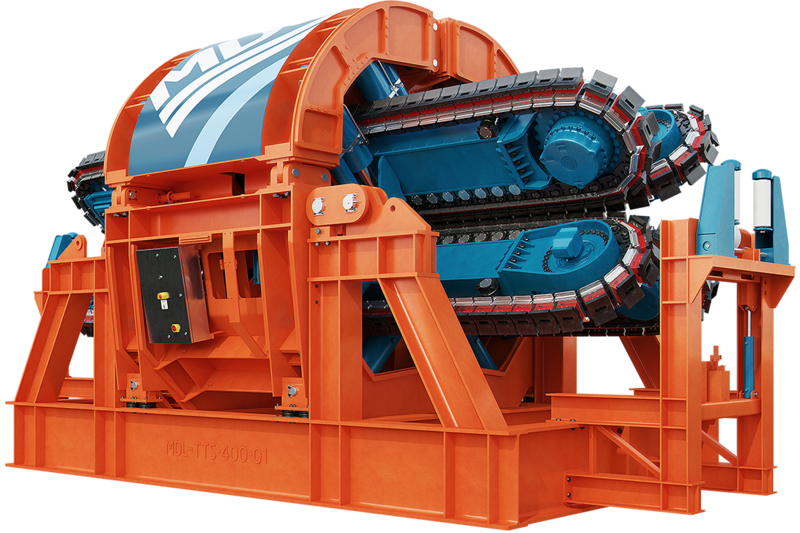 “The TTS-4/375 was the client’s preferred solution because of its road-transportability, as well as the proven track record of MDL tensioners to date. “A key requirement for this project was the use of non-serrated steel pads, specified by the product manufacturer. The product specification also drove the requirement for a 5.5m track contact length. 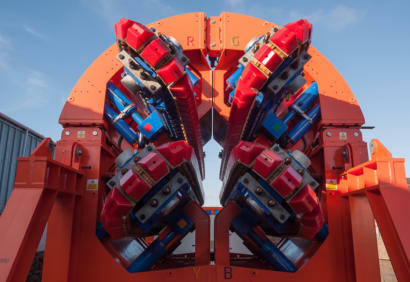 The 150Te system joined the company’s unique 4-track tensioner range in 2018, shortly after the delivery of a 110Te unit. 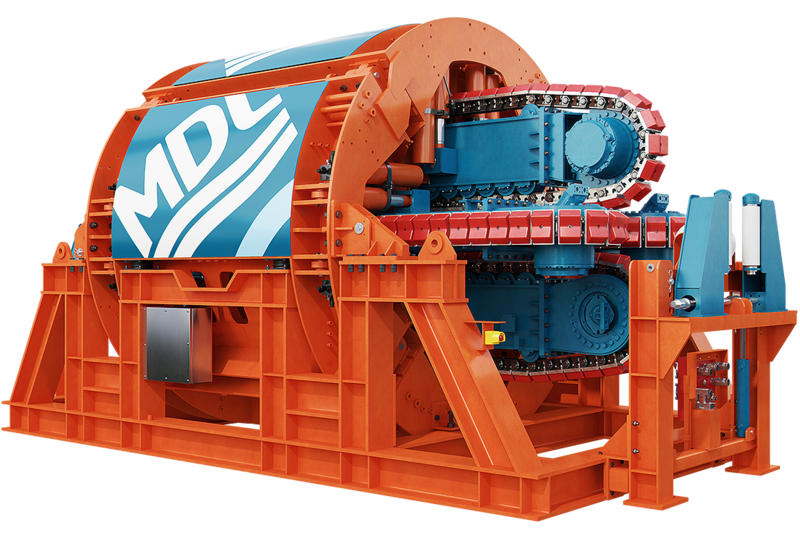 Despite the increase in size and pulling capabilities, all tensioners retain the key features of the company’s patented MDL TTS-4 design, including Failsafe Grip System, self-centring alignment, Profinet architecture and road-transportability. 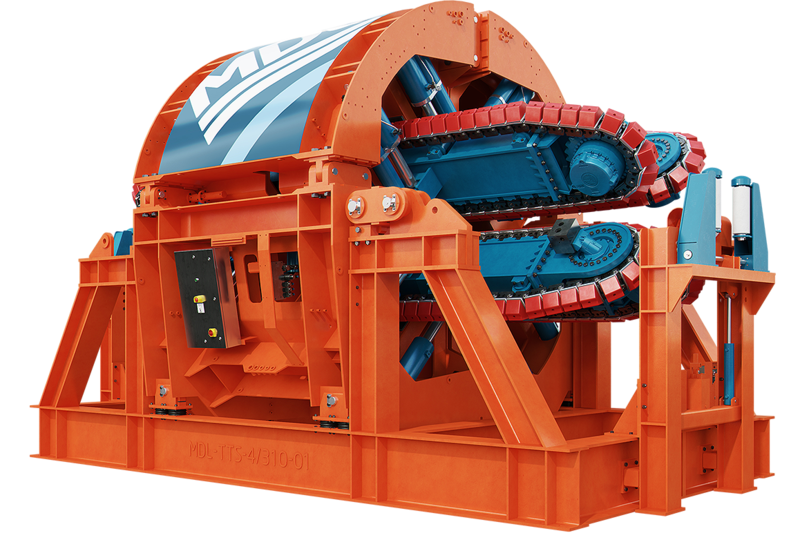 For the 110Te and 150Te units specifically, these systems can replace the need for a dual-tensioner solution to perform any installation above 50Te line pull and 4.1m track contact length. Use of a single unit not only decreases the footprint of the equipment on board and the associated engineering costs, but also reduces the safety hazards associated with running two systems in tandem, and can reduce operating personnel on board the installation. All of MDL rental systems have been certified to a DNV-GL or Lloyds code.